When the NEET exam was introduced in the year 2012, plenty of states opposed the idea such as Karnataka, Andhra Pradesh, Tamil Nadu, and Kerala. The government of these states believed that if NEET were implemented, they would lose jurisdiction over the subject. They believed that NEET would affect the student’s interests from pursuing the exam and it would mainly affect the students who belonged from the weaker section of the society and the rural parts of the country. Moreover, they also believed that the implementation of NEET would highly affect the admission policies of the various medical institutions. Earlier, the students from Tamil Nadu who wanted to get admission in the MBBS courses were selected based on the marks of their final 12th standard examination. And not only Tamil Nadu, but Kerala also followed the same protocol too. As per the governments of these states, they believed that there is a huge difference in the board syllabus that is being followed by the central and the states. And even Maharashtra asked the Indian Medical Council not to implement NEET for recruiting dental and medical students and continue with their MH-CET tests. The proposal of NEET has created a huge buzz in the education field and is now one of the hottest topics in the market. So, here we have a complete breakdown of the negative as well as the positive aspects of the NEET examination. For a long time, there has been a steady rise in the demand of implementing a standardized test for all the entrance examinations for the students who wanted to enroll themselves in the professional courses throughout the country. These protocols were already implanted in plenty of states and India did it for engineering. Now, many medical colleges and institutions across the country had their own set of rules and regulations for getting admitted in the medical colleges. But, these had a major drawback as some of the private institutions were getting indulged in foul play during the admissions. For which, the number of doctors who were getting g certified from these colleges had absurd knowledge in medical fields. It was not possible for the Indian Medical Council to keep track of all their students who were admitted in the medical colleges. And to make it a fair play, the Indian Medical Council, along with the Indian Government came up with the idea of making standardized tests that every single medical college needed to follow. The NEET test is one of the hardest examinations to crack now. Out of the millions of students who appear for the test, only 90000 students make it through the final round. The NEET test has replaced all the other medical entrance exams. Before, the students who wanted to get themselves enrolled in the medical institutions needed to pay a huge sum of money for the admission tests. And multiple admission tests meant more money and a huge traveling expense. But, with the implementation of this standardized test, the students no longer needed to travel to multiple places for the multiple medical entrance examination. One they have cracked the NEET; they would be selected in the colleges which they are eligible for. 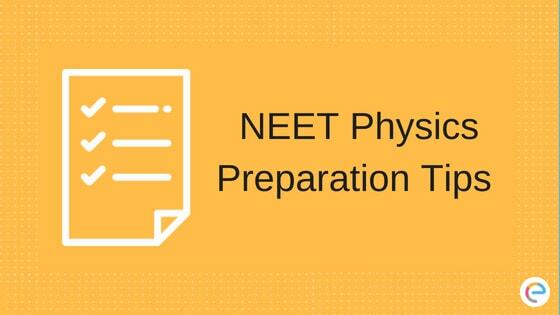 From the top medical colleges to the private institution, all of them fall under the jurisdiction of the NEET exam. But, some of the earlier policies have also been retained such as the 15% government quota in the central pool. The implementation didn’t affect the others quota too. They all remained the same except the examination test that the students need to appear for getting admitted in the medical institutions. The implementation of NEET didn’t have any negative impact on the medical examinations. Rather, it raised its value and helped in producing the finest quality of doctors. NEET has been one of the finest moves by the government for producing the finest quality of doctors.